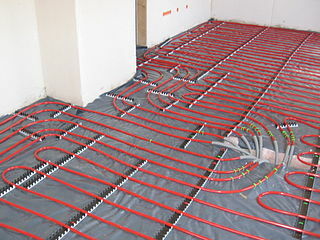 Radiant heating systems circulate heated water through special tubing embedded in the floors, walls, or ceilings of the home. These systems provide even heating throughout your home, eliminate cold, drafty rooms and can reduce heating bills by 20-40%. Plus, radiant heating is quiet, maintenance-free, and helps keep household air free of allergens and pollutants. For more information and a no-obligation, in-home consultation, please call us at (860) 873-8454 or contact us here today.